US President Donald Trump speaks during a Cabinet meeting in the Cabinet Room of the White House on August 16, 2018 in Washington, DC. 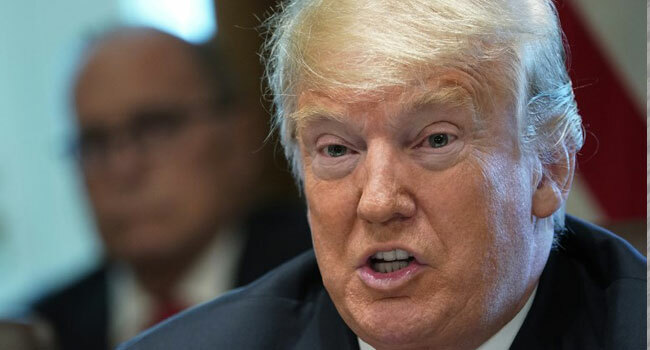 US President Donald Trump promised to help Italy finance its public debt, which is the largest in Europe, the daily Corriere della Sera reported Friday. The newspaper did not provide any more details about the circumstances in which the alleged promise was made. Corriere della Sera said Italy needs to sell around 400 billion euros ($463 billion) in bonds next year. That is nearly 18 percent of its debt which totalled 2,263 billion euros last year, according to Eurostat data. At 132 per cent of GDP, Italy has the second highest level of debt compared to its economic output in the eurozone after Greece. “The US administration doesn’t have its own sovereign wealth fund and doesn’t have the power to coordinate banks and private funds,” noted the newspaper, in an implicit indication that Trump may find it difficult to keep the promise.